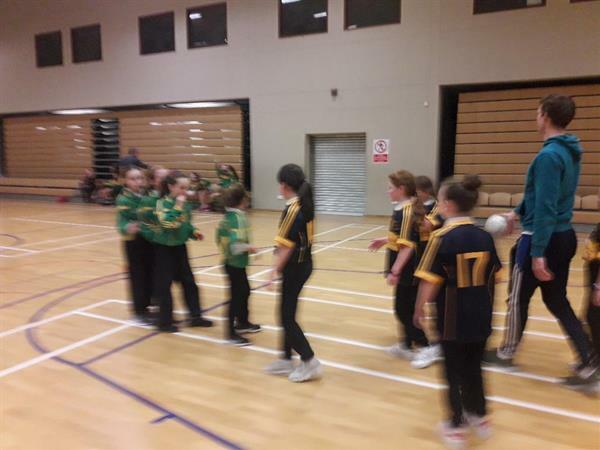 The girls had an exciting and jam-packed afternoon in Shoreline, Greystones last Thursday 24th playing indoor Gaelic. They had back to back games and plenty of opportunity to practice their skills! While the day was non-competitive there was plenty of action on court with goals galore and other shots only stopped by the crossbar. We played Gaelscoil Uí Cheadaigh 1, 2 and Newtown. 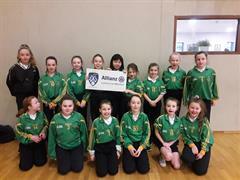 Well done to our young whistler Meabh Butler who kept the games fast, flowing and fair and to our teams.